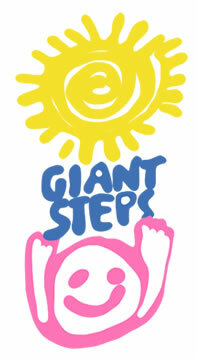 Giant Steps is the official charity partner for the Sydney Tower Stair Challenge. Why not help this organisation by getting together with a friend or two and taking on this significant challenge, and adding to the $920,000 raised in the last 6 years. When you make it to the top you can be proud that you have assisted one of Sydney’s leading charitable organisations to continue their great work. To make every step count why not tell your friends on social media and email that 'On August 25 I am taking on the tallest Building in Sydney - check it out at (insert your unique fundraising url)'. This is a great way to let everyone know what you're doing and you will be amazed at just who decides to donate $$ towards your climb...$40 - easy! Giant Steps operates a school and intervention services catering specifically for children and young people between the ages of 2 and 27 all with a diagnosis of Autism Spectrum Disorder. Autism is a neurological/developmental disorder which affects social and communication skills, and to a greater or lesser degree, motor and language skills. Autism affects around 1 in every 100 children, at a ratio of 4 boys to 1 girl. The world leading program at Giant Steps is trans-disciplinary meaning intensive occupational, speech and music therapies are combined with educational programs catering specifically for each individual student. Giant Steps has had remarkable success teaching children with autism to communicate more effectively, integrating them into mainstream schools, helping them develop functional life skills and providing them the opportunity to achieve milestones previously thought unattainable. In addition to the Early Learning and School Programs, Giant Steps also offers the following services: GS Community College; Diagnostic and Assessment Centre; Rob Llewellyn-Jones Clinical Centre; Training and Professional Development Services; newly established Residential Support Programs for adults with autism and the recently opened Giant Steps Melbourne School. Giant Steps is open to students from all walks of life, is nondenominational and does not charge fees. Giant Steps is located at 23 Punt Road, Gladesville NSW 2111. Phone (02) 9879 4971. To learn more about Giant Steps please visit the website.